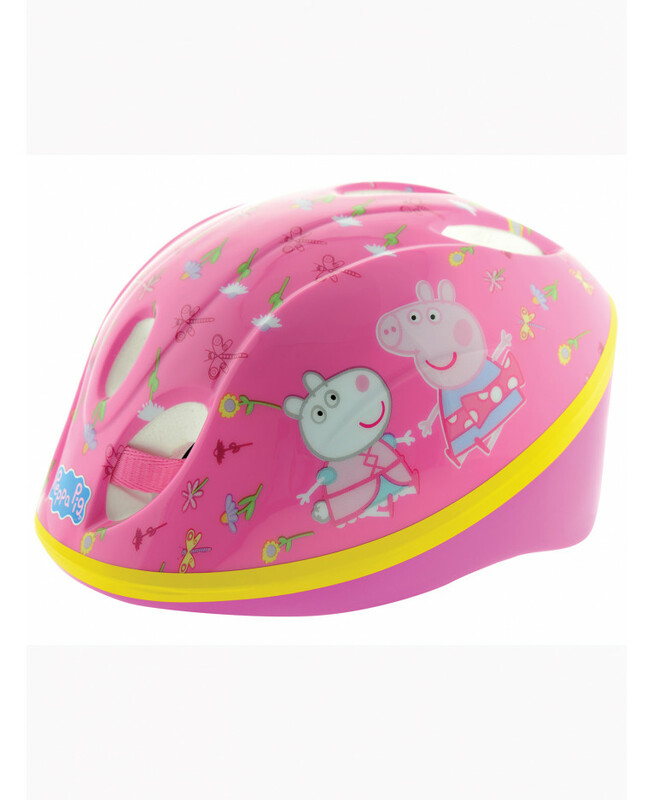 This Peppa Pig Helmet has both safety and style in mind. 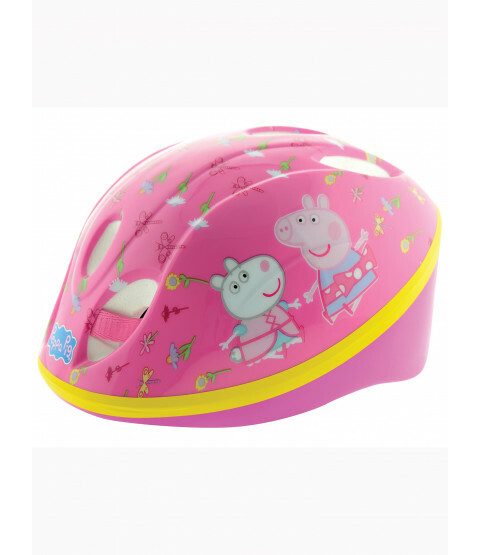 The lightweight helmet has cooling vents, an adjustable chin strap and foam padding for comfortable fit as well as fantastic Peppa Pig graphics that fans will love. This helmet is the perfect accompaniment to our great range of Peppa Pig bikes, trikes, & scooters.